We released a white paper, “Digital Maturity Model for Brand Packaging.” that discusses the common experiences companies face when trying to better understand consumer packaging and the processes that help them execute packaging projects. 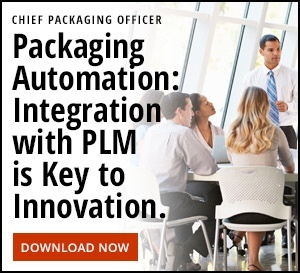 Many consumer packaged goods (CPG) companies have yet to understand the importance that the entire packaging value chain has on their overall route-to-market and do not consider packaging digitization as a core business priority. 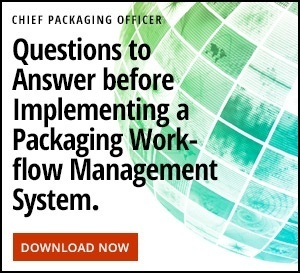 However, if they advance their packaging processes, adopt digital technologies, automate them and connect them with suppliers (and even consumers), they will see increasing benefits. These benefits include increased executive support, cost control, risk mitigation, responsiveness, quality, and transparency. Through our relationships with thousands of contributors to the packaging value chain, we’ve discovered that companies who invest in the digital transformation of packaging processes can improve the consumer experience and support business expansion into new geographies, new distribution channels, line extensions, new product launches, and even onboarding newly acquired brands. If companies can deepen their understanding of this digital progression, they can better grasp what actions are needed to make improvements in their business. In the model, we have defined the five levels of maturity: Reactive, Organized, Digitized, Connected, and Intelligent. Here is an overview of each of these levels. REACTIVE: Manual, offline tasks and processes are triggered by external pressures. ORGANIZED: Tasks are triggered for established stakeholders by defined processes, timelines and physical quality measures using basic computerized tools. DIGITIZED: Projects, tasks, and processes are increasingly completed and measured digitally using configured hardware and software. CONNECTED: Packaging software and hardware is continuously integrated with other business processes and systems of record. INTELLIGENT: An integrated ecosystem of full product information and imagery automatically improves and synchronizes across internal and external interfaces. What’s particularly interesting is the 14 dimensions that fall into each stage of the model. These stages better outline concerns, process and delivery capabilities within each stage and what motivates a brand to level-up. These dimensions can be easily viewed in our supergraphic. To read more about the five stages of the model, and determine where your business may fall, please download the white paper.